It’s estimated that every year, your unstructured database grows by 40% to 60%. By properly managing all of this “stuff” taking up space on your server, you reduce the risk of confidential data loss and lower your data management costs. The problem that many IT engineers and data center managers have is the notion that cleaning out unstructured data equates to little more than busy work. Yet given the net positive impact that reducing your unstructured data can have, you’ll quickly realize that the ROI is well-worth the relatively small investment of time and resources needed to effectively do it. Clean out your outdated data: Start your cleanup by identifying those items that haven’t been accessed in more than three years to be reviewed and deleted, if possible. Target redundant files: While there’s wisdom in backing up certain network files, many redundancies are unnecessary. You should consider finding duplicate files and deciding whether or not they can be purged completely. Look for multimedia content among user shares: Among employees’ stored network files, you’re sure to find downloaded multimedia content that has no business value whatsoever. Work with employees to clear this data off of the server. Index data from legacy backup tapes: By scanning and indexing any relevant data from old backup tapes using a metadata profile, you’re able to recoup the expense of storing them. Streamline access to critical data: Find a way to create easy access channels to data that could be requested in the future for compliance or legal issues. Manage your PII: Auditing email and your server for potentially sensitive information shared between users outside of regular corporate channels helps to ensure corporate compliance. Look for hidden PSTs: Locate and review any personal archives or PSTs that users may have created that could potentially hold sensitive corporate data. This helps ensure that all sensitive data is under corporate control. Implement charge-backs: This encourages individual departments to more effectively manage that data they may no longer require. Find less-expensive storage tiers: For that aged data that can’t be deleted, migrating it to a cheaper storage tier frees up space for more relevant files on your server. Move less-relevant data to the cloud: Hosted storage can be more cost-effective and offers you yet another location off of your server to place your older, less-useful business files. You have every reason in the world to better manage your unstructured data, yet probably don’t have all of the time in the world to do it. Not to worry; we here Titan Power can help. 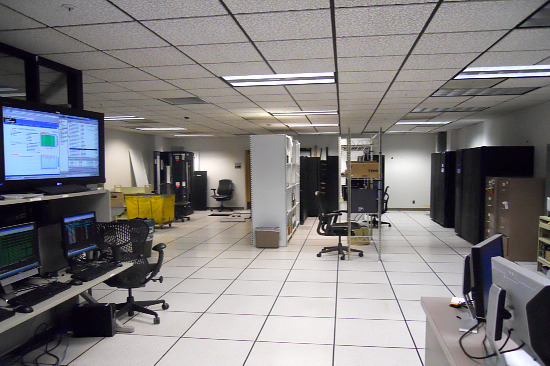 As the industry’s premier provider of data center solutions, we can offer you access to all of the tools that you need in order to make cleaning up and managing yours and/or your clients’ databases that much simpler. With our help, unstructured data will no longer continue to be a drain on your server space. This entry was posted in Computer Room Design, Data Center Build, data center maintenance. Bookmark the permalink.